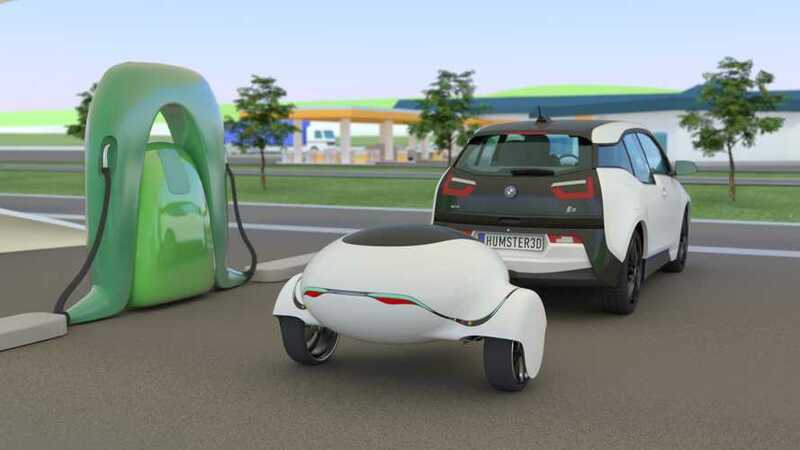 Nomadic Power, a German company that develops range extender trailers for electric cars with support funding from the European Commission, unexpectedly put out a press release entitled: "Tesla Motors' CEO Elon Musk Confirmed the Concept of Mobile Batteries as Range Extenders". Oh really? He signed in? 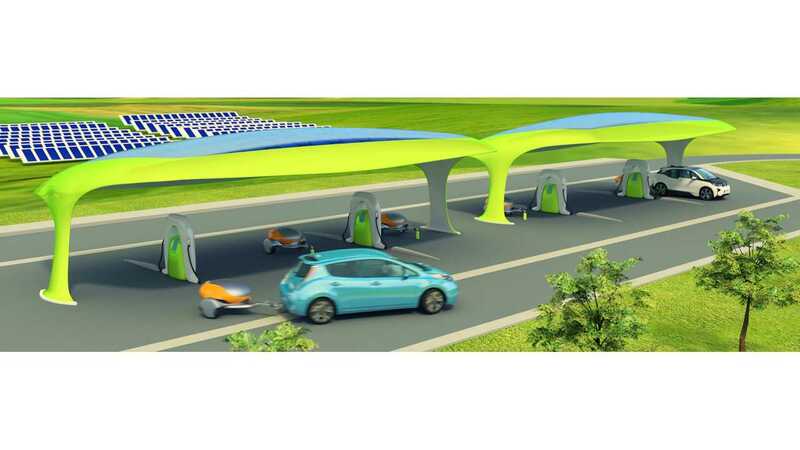 Their idea is to build special stations with trailers full of batteries, that an EV driver could rent, hook up and drive to the next station. When the trailer is idle, it could also work as energy storage. Nomadic Power will offer Nomads as range-extenders for rental at major arterial roads across the country. If you are a San Francisco-based owner of a BEV and decide to go to Los Angeles, you can 'hook up' a Nomad at an Autobahn station just outside San Francisco, drop it off at a station outside Los Angeles, and then have the freedom and "lightness" of a small car in the target city." "Nomadic Power is a high-tech company from Germany, with a development center in Stuttgart. Nomadic Power develops and markets mobile energy systems for decentralized storage and mobile use of electric energy." "We are delighted, that Tesla Motors' CEO Elon Musk is thinking about a concept like ours for even more extending the range of the Tesla models. We're working on that concept with support from European Union and German government and will achieve series maturity very soon. This confirms our approach to build a long distance mobility provider for all electric vehicles on the market." Nomadic Power doesn't provide exact words from Elon Musk, nor the whole context, but we found it. Elon Musk, during a recent visit in France, was asked about even higher range electric cars like 800 km (500 miles). You can watch the video from 15:45 below. The answer was "That's a lot" and then Musk noted the problem of large battery packs for such high range - when you're driving on short distances, you are hauling all that mass without a reason (by the way, the price of the larger pack will be much higher too). Tesla's intention is to find the sweet spot for reasonable range, price, and performance. Base scenario is to go to somewhere around 500+ km (300 miles) and build out the fast charging infrastructure. Elon said also that there is trailer idea that might work for long range, and it seems to be enough to issue the press release "Tesla Motors' CEO Elon Musk Confirmed the Concept of Mobile Batteries as Range Extenders". Well, Elon probably thinks about all the options, and most of us interested in EVs also considered on-board range-extender, battery swap, dynamic wireless charging and things like this. It's also important to note that Tesla battery swapping, with one pilot station in California, isn't spreading around the world and there must be a reason for its lack of support. Even if Musk thought about mobile trailers, it never even made it to the pilot stage.